I’m counting down 11 days to Korea!! I’m pretty excited about this trip! Found lots of hidden places in Seoul! In Seoul, every where you go you can definitely find cafes on the streets! I’m not sure whether is it Koreans love coffee or they love to enjoy their time chilling out in a cozy cafe? We going to do lots of cafe hopping in Seoul for our coming trip! Let me list down a few of our must go cafes and I will do a more detail review when I back from my trip ok? *Google maps is a very useful tool to search for your location! I will always google map the address of the place I want to go and get directions from there. Street view map allows you to see the surrounding places so you won’t be unfamiliar with the surrounding when you reach there. If you are a Super Junior Fan (ELF), you should be very familiar of this Cafe owned by SJ 3 members’ ( Leeteuk, Sungmin & Kyuhyun) mothers. 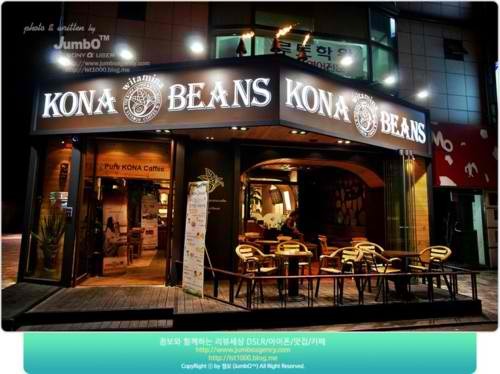 I’ve been to Kona Bean twice during my previous trips to Seoul. SPAO, Everysing, Kona Beans, K-Story & Whystyle!! 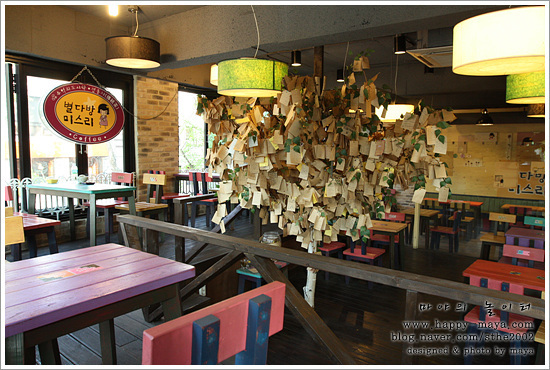 As an ELF, how can I miss out this Cafe when I’m in Seoul. I got to know this interesting cafe during my We Got Married craze.. Yonghwa (CN Blue) & Seohyun (SNSD) did came here for their dates! Message notes hanging around the cafe! Miss Lee Cafe is famous of their Lunch Box Meal. I’m totally in love with the traditional building exterior of Luden Loquen Space. Luden Loquen Space is located in Samcheong-dong. Samcheong-dong is one of the unique places in Seoul, the area is famous for it Bukchon Hanok (Korean traditional houses) Village. There are streets of cozy & unique cafes around the area. I didn’t know there’re such a place in Seoul, my BFF got to know this place through her friend and told me we have to go there! This is the cafe for Dogs Lovers!!! 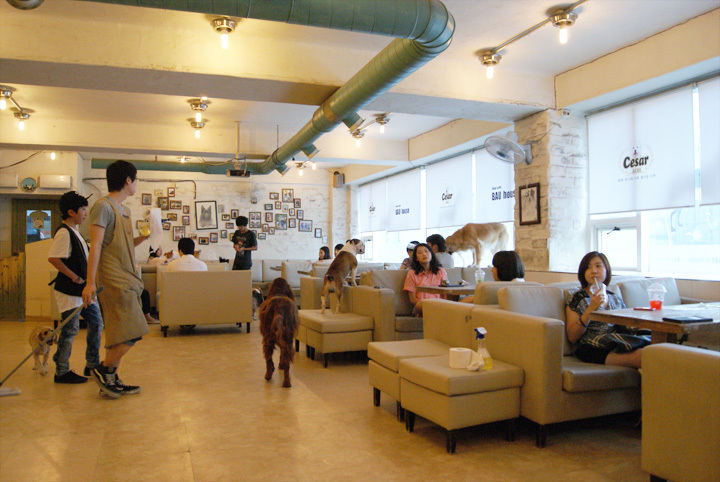 Bau House Cafe is one of the most popular dog cafe in Seoul. You can have your coffee or tea with dogs sitting beside you or even dogs lying on your table. I’m quite excited about visiting this cafe and anticipating enjoying my cup of coffee with various sizes of dogs. Please take note Bau House Dog Cafe has moved! 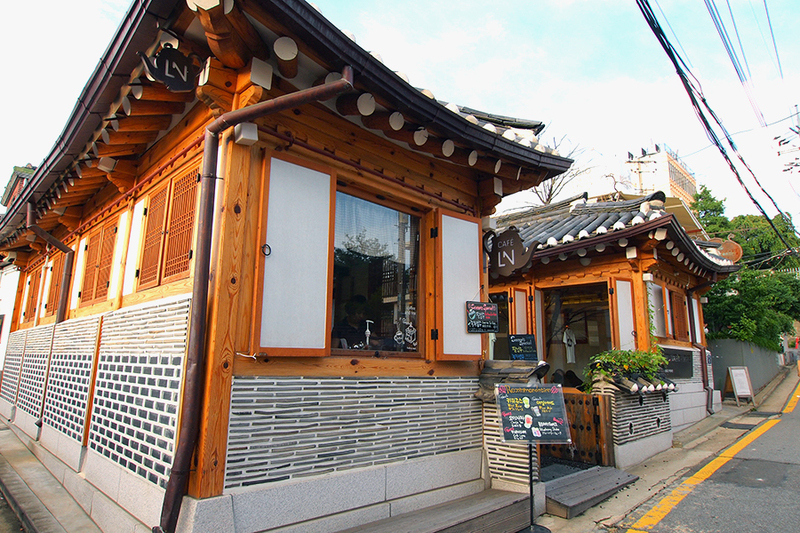 It’s now located in a building near Hapjeong station (between exit #3 and #4). Coco Bruni is famous of their cakes and chocolatier! 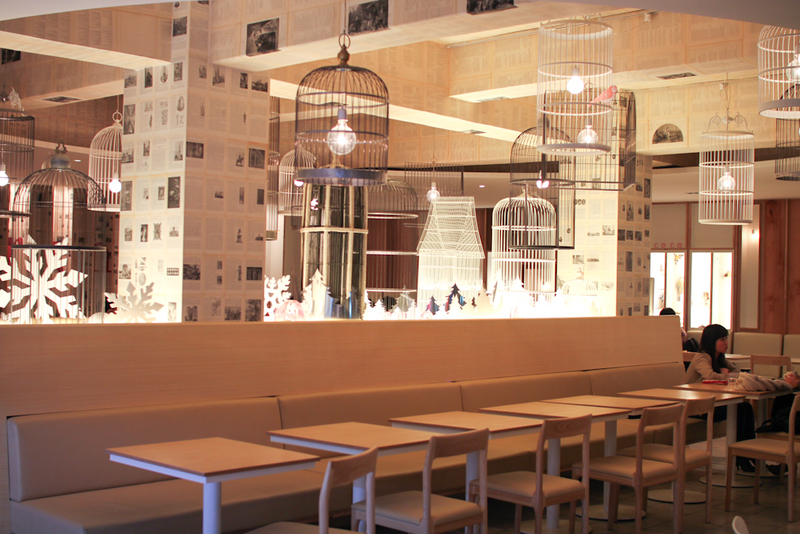 Bird Cages are their main decoration of their cafes to fit in their bird logo! There’s a few outlets in Seoul, the outlet we will be heading is the Hongdae Branch! 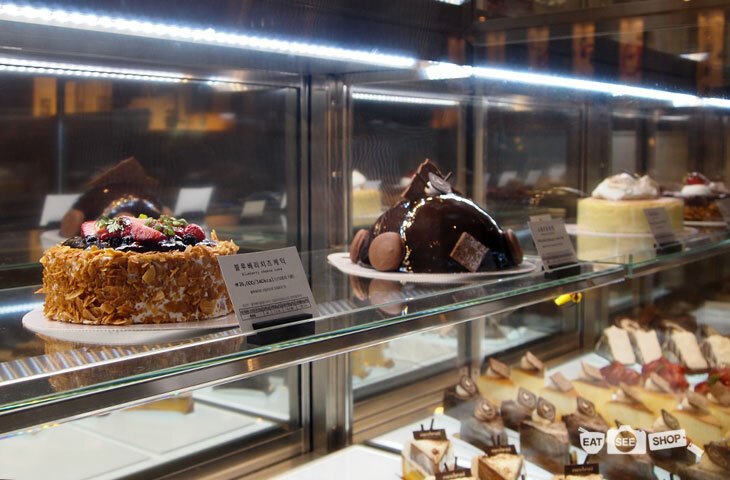 Can’t wait to try out the cakes, totally drooling while seeing the pictures! Calling all Hello Kitty Fans! 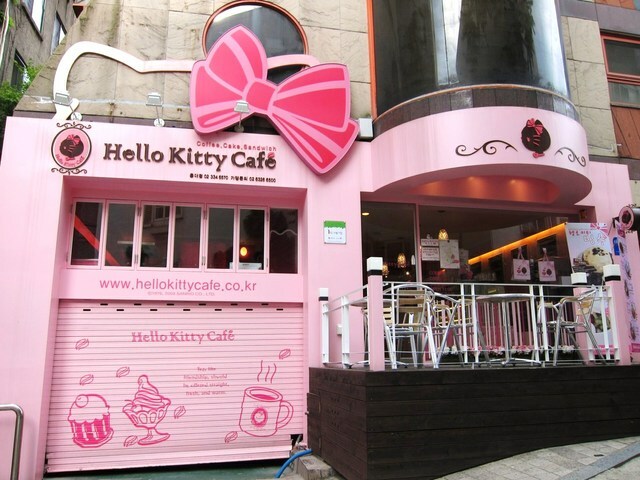 This going to be a must-go cafe for all Hello Kitty Fans out there!! Dream place for all the young and mature ladies out there! With pinky hello kitty deco and hello kitty cakes! I’ve been to the outlet in Taiwan a few times, hopefully the Seoul branch will be a little different.. 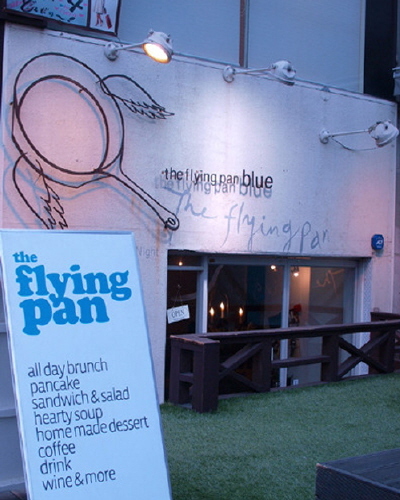 The Flying Pan is very famous of their all day brunch. My BFF found this online, which lots of people raves on it! Very cozy interior makes you feel like you are at home enjoying your meal! Located very near to Itaewon subway! These are the 7 cafes I’m going to patron during my Korea Trip! We going to hunt for more unique and special cafes there! Very anticipating to cafes hopping with my BFF! Get ready for yummy food!! Stay tune for my reviews! I'm going on 27 Oct.. u?